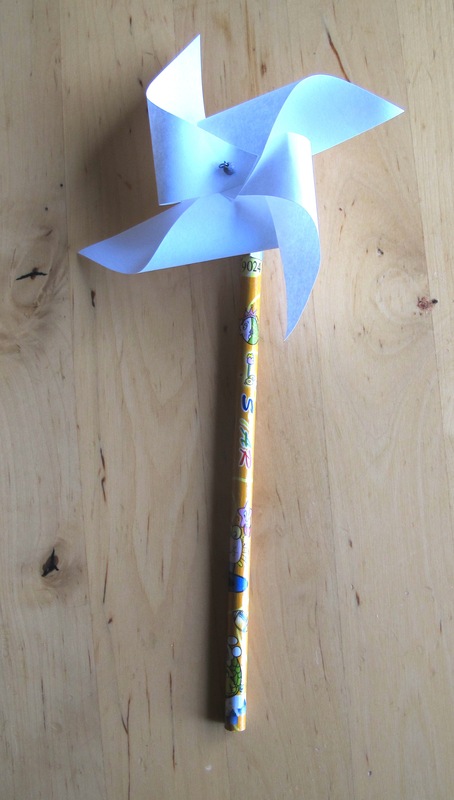 Students make a hand-held windmill on the top of a pencil. The forces involved in making it turn can be discussed. Colour the windmill template on both sides, then cut along the lines. Twist the end of the wire into a loop, and add a bead against the loop (best done ahead of time with pliers). Fold one corner of the paper template into the centre, push the wire through the hole at the corner, then fold over the next corner and push the pin through the hole on this corner. Continue with the last two corners, then add a bead to the wire before pushing the pin through the central dot. Finally add two more beads (they keep the windmill spaced away from the pencil), and then push the wire through the base of the pencil erasor. 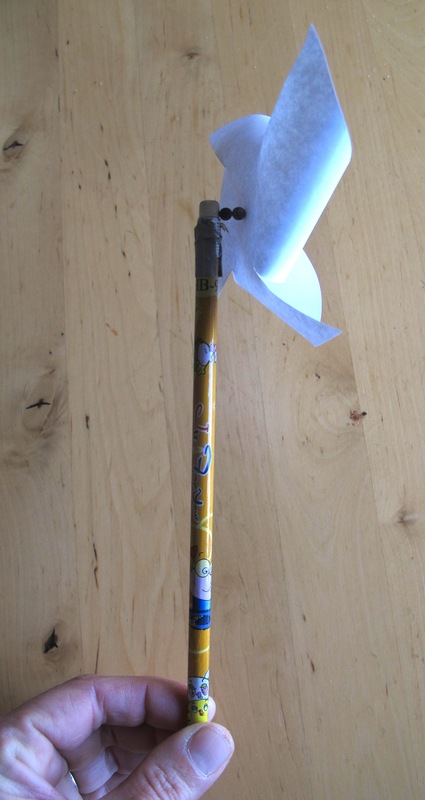 Wind the wire around the pencil, and cover with duct tape to secure. Discuss the forces involved in making the windmill turn. First models used a pin inserted in the eraser, but this does not hold together well. Mme Romy's class had to figure out how to put the windmill together.